We love supporting our local community, even if it involves stinky shoes! 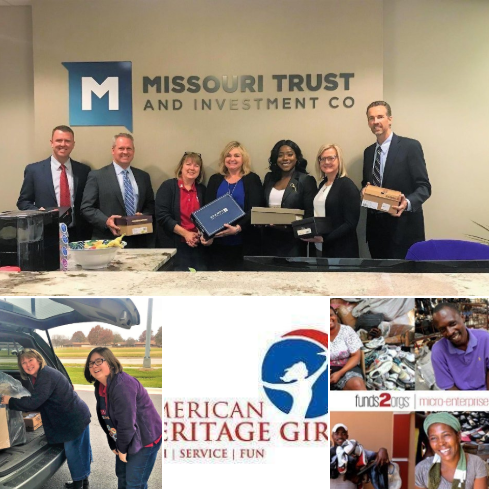 This year, we partnered with American Heritage Girls and Funds2Orgs Network to deliver gently worn shoes to small business partners in developing countries where economic growth and opportunities are limited. Our shoe drive brought in 62 pairs of shoes! That’s 62 pairs of dress, tennis, sandals, cleats, heels and more. For every pair of shoes American Heritage Girls Troop #1118 received money for their troop activities.